How to Activate BIAS FX 2 License? How to Deactivate BIAS FX 2 Licenses on Devices? How to Upgrade from BIAS FX 2 Standard to Professional or Elite ? Where is My Expansion Pack? How to Find/Record with BIAS FX 2 in Ableton Live? How to Find/Record with BIAS FX 2 in Pro Tools? How to Find/Record with BIAS FX 2 in GarageBand? How to Find/Record with BIAS FX 2 in Reason? How to Find/Record with BIAS FX 2 in Cubase / Nuendo? How to Find/Record with BIAS FX 2 in Studio One? How to Find/Record with BIAS FX 2 in Reaper? How to Find/Record with BIAS FX 2 in Logic Pro? How to Activate BIAS Amp 2 LE? 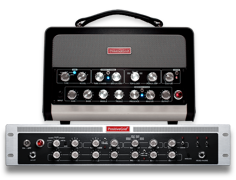 What's the difference between Celestion Modern Vintage Pack and Celestion IRs? The Factory IR - Creamback Impossible mix ? How to Use BIAS Footswitch with BIAS Head/Rack/MINI? I Can't Upload Presets from BIAS Amp2 iPhone/iPad App to the MINI Amp, What Can I Do? Is There a Self-Troubleshooting Guide that I Can Refer to Should I Encounter a Problem with MINI Amp? How Do I Get My Free BIAS Amp2 Desktop License? Will It Still Available to Me If I Sell My BIAS Amp Series Hardware? How to connect to BIAS Amp 2 iPad? How to Perform a Factory-Reset? How to Backup Amp Presets on BIAS MINI Guitar and Bass? 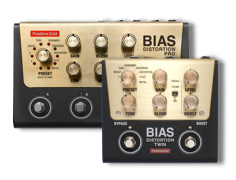 Can I Integrate BIAS FX with BIAS MINI Guitar/Bass? Is It Possible to Import Presets from BIAS FX to the MINI Amp? 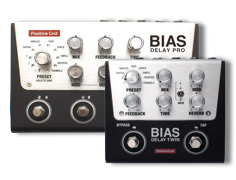 Can I Use BIAS MINI Amp as Audio Interface in DAW or on My Computer? Does the BT-4 Bluetooth Pedal Work with the BIAS MINI Guitar/Bass? Can I Connect The XLR Output to a Device with 48v Phantom Power Enabled? How do I edit my profile picture and name on ToneCloud? How to Backup My Presets? Where can I download Demos? What are The Limitations of Demo? How to Switch Back to Regular Email Login instead of Facebook Login? Is BIAS Amp Desktop a porting from BIAS Amp iOS? Can I run BIAS FX on Hackintosh? Do you have any plan for Android? 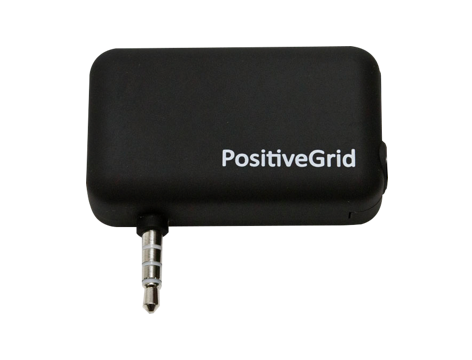 How to use my redeem code, download and activate Positive Grid’s software? How to Change My Email for My Account? How to upgrade to Professional? What Should I Do if I Keep Failing to Reset My Password? How many devices can I activate the Standard or Professional license? How to set up my audio interface with BIAS FX / Amp / Pedal Desktop? How to use Amp Match with BIAS Amp 1? When i open the apps, I hear the sound with a delay. Why? How do I request refund for my iOS apps? The Error Message "The inter app audio app you have selected is not available at this time"
How To Fix Error 2503 2502 On Windows 10 When Installing Softwares? What is MD5 and what does it do? Why am I Getting " The feature you are trying to use is on a network resource that is unavailable " during the Installation Process ? The Error Message: "Failed to load the configuration on BIAS Plugin!" Where are My Custom Amps? How to Deactivate BIAS Amp Licenses on Devices? How to Upgrade from Standard to Professional ? "This feature requires Standard or Professional version to unlock"? How to Get Stereo Effects with a Mono Input in Cubase? How Do I Activate My BIAS Amp LE? "The inter app audio app you have selected is not available at this time"
How to Activate BIAS FX License? How to Deactivate BIAS FX Licenses on Devices? "This preset contains BIAS FX, You must upgrade BIAS FX to use this feature. Buy the license?" How to Write Automations in Logic ? How to Use MIDI Control in Standalone Version? How to Send Automated MIDI Program Changes to BIAS FX in REAPER ? How to Write Automations in Cubase? How to Control BIAS FX Plug-in with MIDI Controller in Ableton Live? How to Control BIAS FX Plug-in with MIDI Controller in Logic Pro? How to Use MIDI Track + MIDI Controller to Change Presets in Logic Pro ? How to Make Program Change Automations in Logic Pro? How Do I Use MIDI Track to Change Plugin Presets in Pro Tools? Why am I getting some crackling/popping noise ? How to restore my purchases on my iPhone? A Red Bar Stating "Recording" All The Time? What's New in X Drummer 1.5? How to make sure Bluetooth connection works properly? 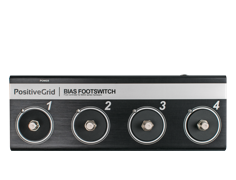 How to Use BIAS Footswitch (BFS4) with BIAS Head/Rack? How to Use Reverb on BIAS Head/Rack? How to Backup Amp Presets on the Device/Software? How to Change MIDI PC# on BIAS Head/Rack? 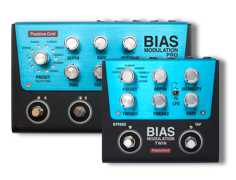 Can I Integrate BIAS FX with BIAS Head/Rack? Does the BT-4 Bluetooth Pedal Work with the BIAS Head/Rack? Can I Use BIAS Head/Rack as Audio Interface in DAW or on My Computer? Can I Connect The XLR Outputs to A Device with 48v Phantom Power Enabled? 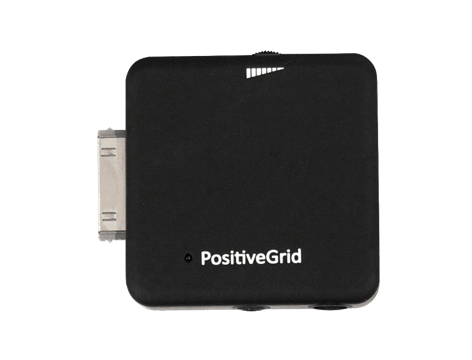 Is There a Self-Troubleshooting Guide that I Can Refer to Should I Encounter a Problem with My Unit? Why Do I Have Unwanted Hums and Hiss Coming from My Amp? There’s No Sound on the Speaker Output, What Can I Do? 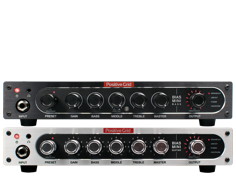 Failed to Upload Presets From ToneCloud in BIAS Amp2 iPhone/iPad App to BIAS Head/Rack, What Can I Do? What expression pedal works with BT2/4? Why does my iPad keep asking me to turn on the bluetooth when it's already on? I have unwanted high-pitch noise/hum through my power supply "VooDoo Lab Pedal Power 2 Plus", what's causing it? I am not able to connect the BIAS Pedal Distortion to computer (Bias Pedal software), what can I do? I am not able to use the 9V power jack. What type of 9V adapter plug can I use with the pedal? I am not able to connect the BIAS Pedal Delay to computer (BIAS Pedal software), what can I do?